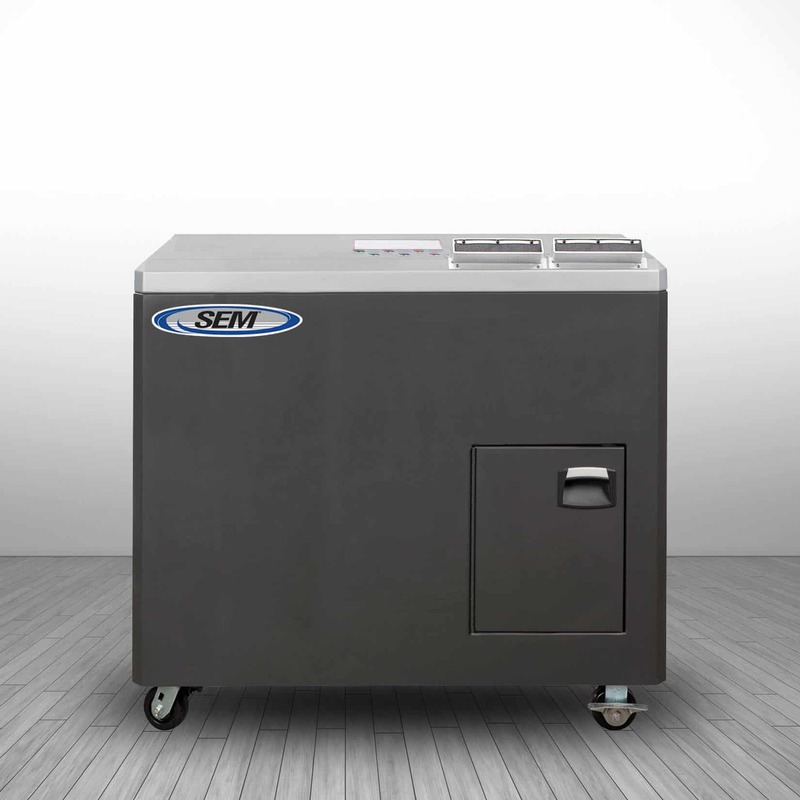 Security Engineered Machinery Co., Inc. (SEM), global leader in high security information end-of-life solutions, is pleased to announce the introduction of the Model 0200 OMD/SSD-C optical media shredder. The device, which is listed on the most recent National Security Agency/Central Security Service (NSA/CSS) Evaluated Product List (EPL) for the destruction of classified CD, DVD, and Blu-ray discs (BDs), is specifically designed for portability and ease of use in office environments. In November 2018, the NSA/CSS released updated EPLs that meet NSA/CSS specifications for classified and top secret information in accordance with NSA/CSS Policy Manual 9-12, Storage Device Sanitization. The updated EPL for Optical Media Destruction Devices includes a new directive for DVD and BD destruction that requires a final particle size of <2mm. The previous directive was 5mm for DVDs and incineration only for BDs. 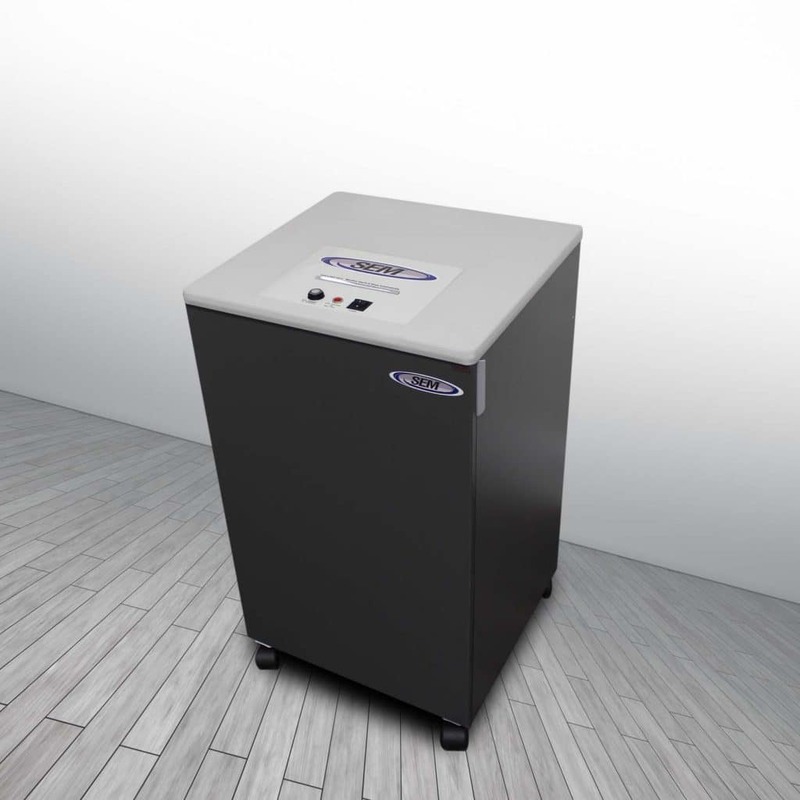 The Model 0200 OMD/SSD-C includes the NSA listed 0200 OMD/SSD optical media shredder and a 3-gallon vacuum waste evacuation system housed in a compact cabinet, which is mounted on casters for easy portability. The system is approved by the NSA for the destruction of classified CDs, DVDs, BDs, EMV credit cards, magnetic stripe cards, CAC ID cards, and SIM cards. It is also completely self-contained and uses a standard 110V plug, making it an efficient, user-friendly solution for office environments. “We are excited to offer this new system to satisfy the NSA/CSS optical media destruction standards,” added Bryan Cunic, SEM Director of Customer Care. “SEM has always been on the cutting edge of information destruction technology and we are thrilled to continue that tradition of excellence with the release of the Model 0200 OMD/SSD-C.” The Model 0200 OMD/SSD-C has a list price of $5,999 but is available to US government entities for $4,999. The device is TAA compliant and comes with a one-year warranty.